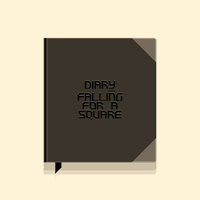 Making a hard hitting debut here on Pxl-Bot we are very proud to bring to you the latest (and first completely LSDJ release) from Falling For A Square, D I A R Y. Right from the start D I A R Y pulls you into its story through cascades of wonderful sounding instruments capturing the mood perfectly. Each track is unique and holds with it a different set of feelings expressed with beautiful clarity. Despite the album's broad range, the piece as an entity stays as one, also containing two bonus tracks, full artwork and a wallpaper by Richard Alexander Caraballo of Minusbaby, what are you waiting for!